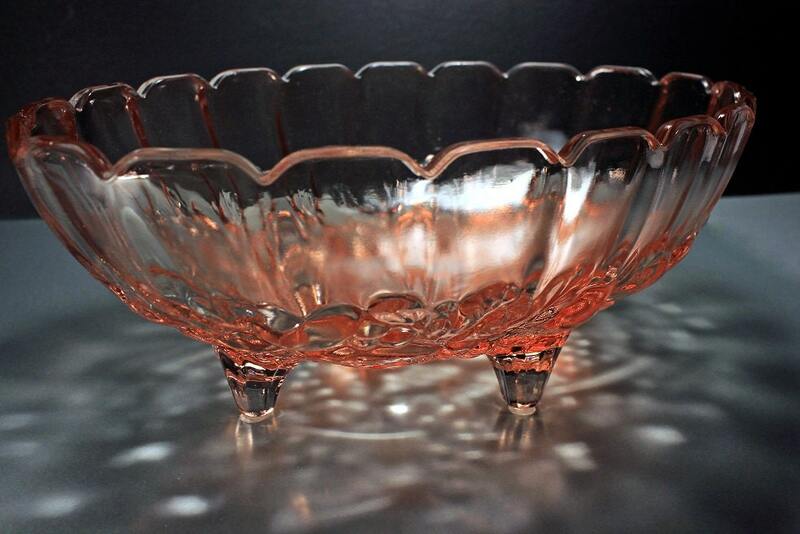 A beautiful large pink oval footed bowl by Indiana Glass. 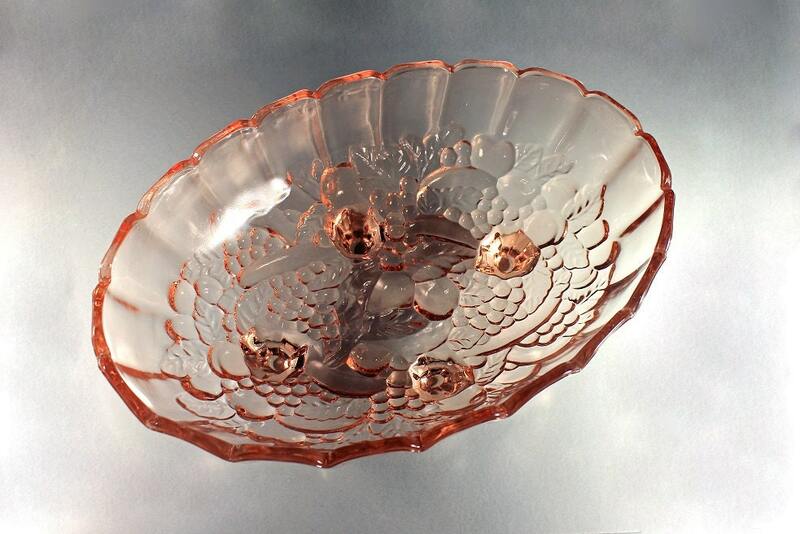 This is in the Garland Pink pattern which consists of a fruit and panel pattern. This is a very heavy bowl. 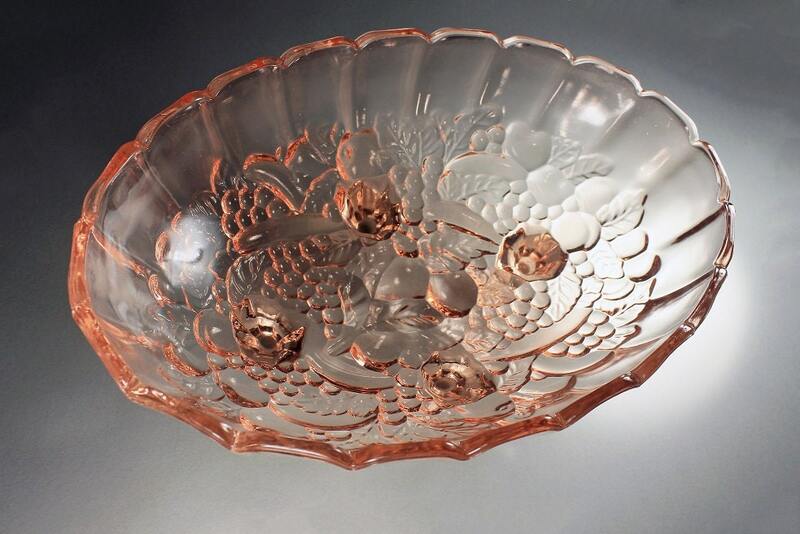 It is a perfect centerpiece for a dining table, buffet, or sideboard. It is large and will hold lots of fruit. 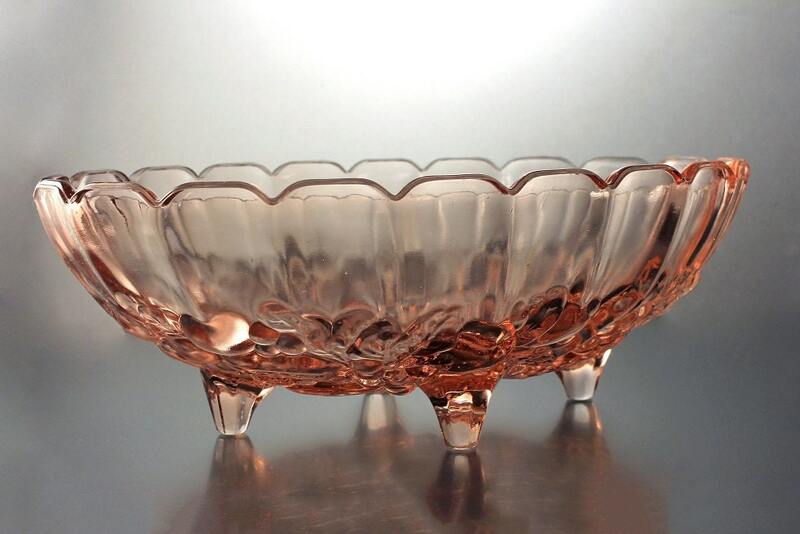 It would also make a great serving bowl for a tossed or large fruit salad. 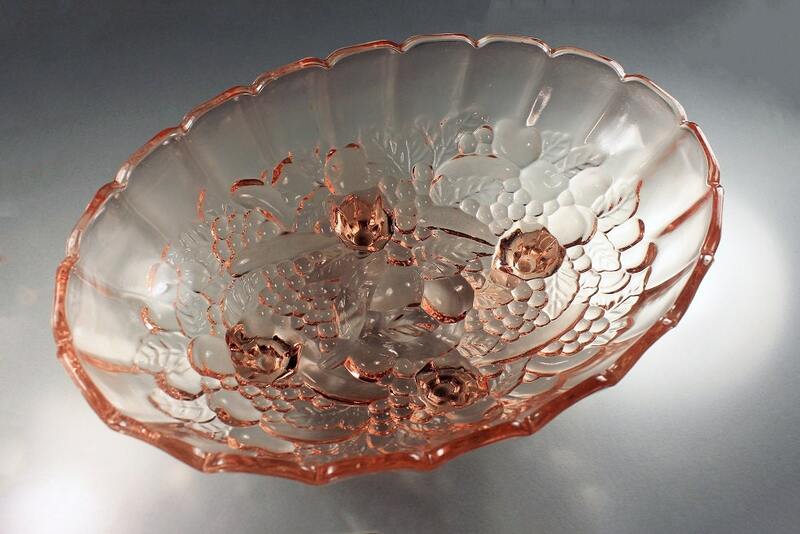 This bowl is in 'like new' condition. There are no chips, cracks, scratches or utensil marks. This would make a great gift for a wedding, housewarming, holiday, or special occasion. Or a great addition to your own celebrations.